“With a pack that small you’ve gotta be ultralight… You must be a PCT thru-hiker!” exclaimed a southbound John Muir Trail (JMT) hiker admiringly. “Me? Ultralight? 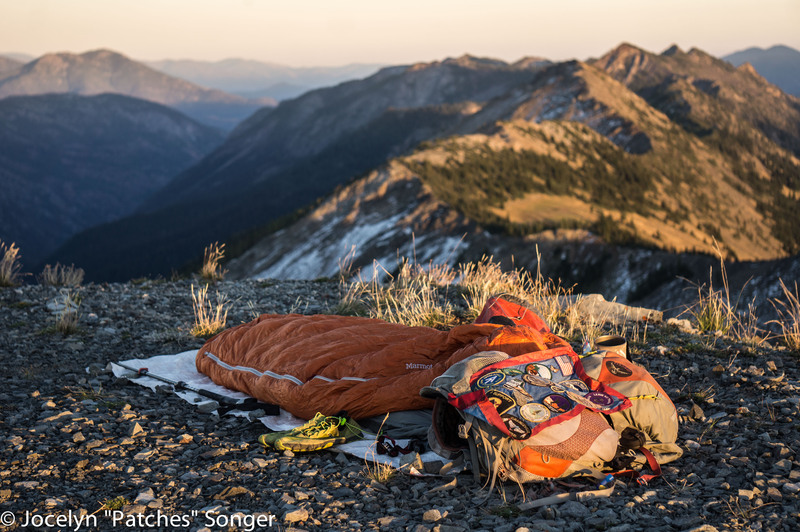 I’m a thru-hiker, but I’m definitely not ultralight,” I laughed. Many of the PCT thru-hikers I knew were striving to be ultralight (they’d reduced their packs to a minimum and they used all of the latest, greatest, lightweight gear), but I wasn’t one of them. On the contrary, I had gotten so used to being razzed about my ‘big’ pack that after ~1000 miles of hiking amongst fellow PCT thru-hikers I’d embraced the idea that my pack was ‘big,’ which is why I was surprised when the JMT hiker commented on the petite size of my pack… I was also surprised that he’d picked me out as a PCT thru-hiker since I was on the JMT (headed to Half Dome and Yosemite Valley) and not the PCT at the time. He was partly right though, compared to the JMT hikers I’d seen, my pack was small. As I tallied up the weight of my ‘luxury’ items for my gear list, it was clear that I wouldn’t be winning any ‘ultralight’ backpacking awards. On the trail, people frequently talked about their base weight… bandying around numbers between 12 and 15 pounds, but my cold weather base weight for the North Cascades was going to a lot higher than that… closer to 23 lbs… I carefully scrutinized my gear… I’d love to have a lighter pack, but what was I willing to sacrifice to get there? There were a lot of painless upgrades (except in terms of $$) and small sacrifices that I could (and would) gladly make to decrease my base weight in the future… Changes that would drop my cold weather base weight (to <20 lbs), but that wouldn’t alter the vacation-like nature of my thru-hike. Throughout my 2013 AT thru-hike and my 2014 PCT thru-hike, my gear was constantly evolving as I tried to maximize my enjoyment of the trail and minimize my pack weight. So, what did I have in my pack at the end of the PCT? Was any of it the same as what I started with at the beginning of my 2013 thru-hike? How many miles did my gear last? If I were to do the PCT again, which gear would I change/upgrade? What follows is the answer to these questions and a bit of gear geekery: first my comments on the gear that’s gotten me through between 1000 and 5000 miles of thru-hiking, then a detailed list of all of the gear I carried on my PCT thru-hike and the upgrades that I would make. 5000 mile club: This is the gear that I carried from start to finish on both my AT and PCT thru-hikes! My patches are the source of my trail name and are full of memories of the people I’ve known and the places I’ve been… I’ve had them for over a decade. After ~3000 miles of use, the zipper on the body of my tent ran off of it’s track. I called Big Agnes from Mammoth Lakes (mile 907) and they sent me a replacement tent body in my next mail drop. Check out the full tent review that I did after the AT! The tent fly and stakes are still the originals I started out with in GA.
Upgrade: Z Packs Splash Bivy (6.4 oz., $225) with the Hexamid Solo-Plus Tarp w/ beak (7.4 oz, $280). Even though I loved the UL2, I would consider switching to a bivy/tarp setup. I discovered the joy of cowboy camping on the PCT, and cowboy camped whenever I could. This meant that I didn’t use my tent as often on the PCT as I had on the AT, and switching to the lighter weight bivy/tarp combination might better suit my PCT/CDT needs in the future. I love this jacket as a good basic layer that will keep me warm even when wet. Upgrade: If I had it to do over again, I’d switch to the version without pockets to save 1.8 oz: Montbel UL Thermawrap Jacket (8.4 oz., $145). The gloves were great, but sometimes I wished I had something a little warmer and that I could leave on while using my phone. I ended up changing the batteries about once a month. Trowel (9/10): REI Snow Stake (1 oz). My 9.6 inch long snow stake worked as well as any camp trowel I’ve used for digging cat holes. I love my Sony NEX5N and all of my pictures; at ~2lbs of extra pack weight, it’s a good thing that I do!! Check out the camera review I did after I finished my AT thru-hike. I love hiking with trekking poles… The middle segment of one of the poles sheared as I was coming down Glen Pass in the High Sierra, I called Leki from Mammoth Lakes and they mailed a replacement to Tuolumme Meadows for me. The original trekking pole tips got me from GA to ME, and then from the Mexican Border to Idyllwild. A second pair of tips got me from Idyllwild, CA to Ashland, OR. I’m on the third pair now (I was told to expect ~500 miles per $20 pair of tips). ~4400 miles: PCT Thru + 1700 AT miles. It’s made it through with no leaks so far! Blowing it up is currently my least favorite camp chore though. ~4400 miles: PCT Thru + 1700 AT miles. I used my sleeping bag liner as a sheet on hot nights. I also slipped my sleeping pad into it whenever I was cowboy camping (PCT) or sleeping in a shelter (AT) to protect it. Upgrade: If I get the ZPacks bivy I will eliminate my sleeping bag liner. Hydration reservoir (10/10): Hydrapak 3L Hydration System (6.9 oz). ~ 3750 miles: PCT Thru & ½ AT. I borrowed it from my mom when she visited me on the AT in Virginia… I wonder if she wants it back now? 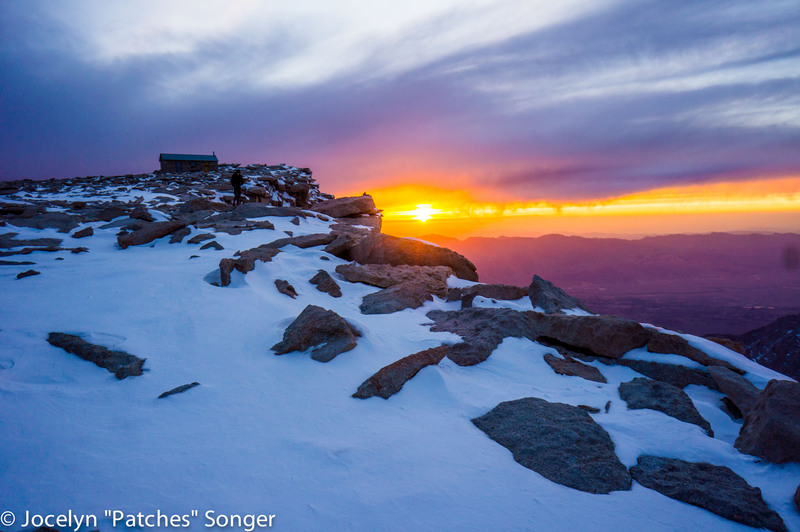 ~3750 miles: PCT thru & 1/2 AT. I love having my Randall at my hip. I started the AT with a couple of small, ultralite blades, but I got tired of every single person I met asking me if I was armed. After I started carrying the Randall on my belt people stopped asking me if I was armed. Mission accomplished. ~3700 miles: PCT Thru & ~1000 AT miles. As a solo backpacker, I try not to leave home without it. ~3000 miles: PCT Thru and ~600AT miles. I’ve had these pants since my Kilimanjaro ascent in 2010… they double as my hiking pillow. Upgrading to the newer version would save 3.5 oz. : Montbel U.L. Thermwrap pants (8.3 oz., $145). ~2700 miles: ~2400 PCT miles & 300 AT miles. I briefly used a Marmot Hydrogen 30 degree sleeping bag (1 lb, 12 oz. and ~1900 miles: 1740 AT & 110 PCT), but it wasn’t warm enough for me on the cold desert nights. I wrote a full review of my Marmot Hydrogen after my AT thru-hike. 2665 PCT thru: I absolutely loved cowboy camping on my ground cloth. I also kept the ground cloth handy to sit on during breaks during the day… (If I upgrade to a bivy/tarp combination I would leave out the tyvek sheet). ~2665 PCT thru! The only trouble I had with it was that the piezo-starter was unreliable. ~2665 PCT thru: I had a Helium II for the ~2200 miles of the AT, but it wasn’t waterproof so I returned it. They sent me a new one for the PCT, but it wasn’t waterproof either! Upgrade to the Anker 2nd Gen Astro E3 10000mAh (8.1 oz). ~2665 miles: PCT thru. I used them for river crossing, and around camp every night. ~1700 PCT miles. I used an Osprey Exos 58 on the AT and loved it to pieces, so Osprey replaced it and I started the PCT with a brand new Exos 58. At Kennedy Meadows, I switched to the ULA Catalyst (2 lbs, rating: 4/10) because my bear canister (required for the High Sierras) didn’t fit into the Exos very well. I told myself that I wasn’t allowed to hate the Catalyst until I’d hiked at least 100 miles in it. After hiking ~900 miles in it I was still grumbling, so I switched back to my beloved Exos. My dream pack upgrade would be to a 62L Arc Blast from Z-Packs (1 lb, 4 oz., $320) with a custom torso length (my torso is short: 15.5 inches). ~1000 PCT miles: I’ve had them for about 10 years, but they need to be replaced now. Upgrade: ZPacks Challenger Rain Pants (3.8 oz., $165). Upgrade to Z Packs Splash Bivy (6.4 oz., $225) with the Hexamid Solo-Plus Tarp w/ beak (7.4 oz, $280). Western Mountaineering Whisper Sleeping Bag Liner (4 oz. ), eliminate with upgrades. Fuel canister (11.8 oz): I cooked 1 hot meal a day and a canister would last me ~3 weeks. Upgrade: Montbel UL Thermawrap Jacket (8.4 oz., $145). Upgrade: Montbel U.L. Thermwrap pants (8.3 oz., $145). Upgrade: Montane Featherweight Wind Pants (3.8oz., $84.95) or Montbel Dynamo Wind Pants (2.6 oz, $69). This is the first pack upgrade that I would make! lighter weight headlamps are an option. 679 miles: Bend, OR to Canada. My iPhone 4 made it ~4000 miles, through most of the AT and the PCT, before it decided it had had enough rough treatment and took a forbidden swim in Obsidian Creek. Sunglasses (? ): Necessary in the High Sierra. I went through ~3pair on the PCT because I kept losting them. I’d put them on my hat, forget about them, and then, at some point, I’d take off the hat and I wouldn’t notice that the sunglasses had gone flying until the next time I wanted to use them… I didn’t use any sunglasses in Oregon or Washington. Aquamira (2 oz.). ~5 aquamira kits for total PCT thru. Sawyer Squeeze Mini (2 oz.). Hydrapak 3L Hydration System (6.9 oz). Trowel: REI Snow Stake (1 oz). includes emergency asthma medications, sunscreen, compass, bear bag rope, 2 epi-pens, 2 spare AAA batteries etc (Most people can drop this down to < 6 oz.). Critically important during bug season in the High Sierra! Pick them up in Kennedy Meadows if you don’t have them before. Loophole Weight (3 lbs, 6.6 oz. ): *The stuff that didn’t go into my pack (or on it), and isn’t included in the base weight of my pack. Ex Officio sports bra (1.8 oz.) – doubled as bathing suit top. 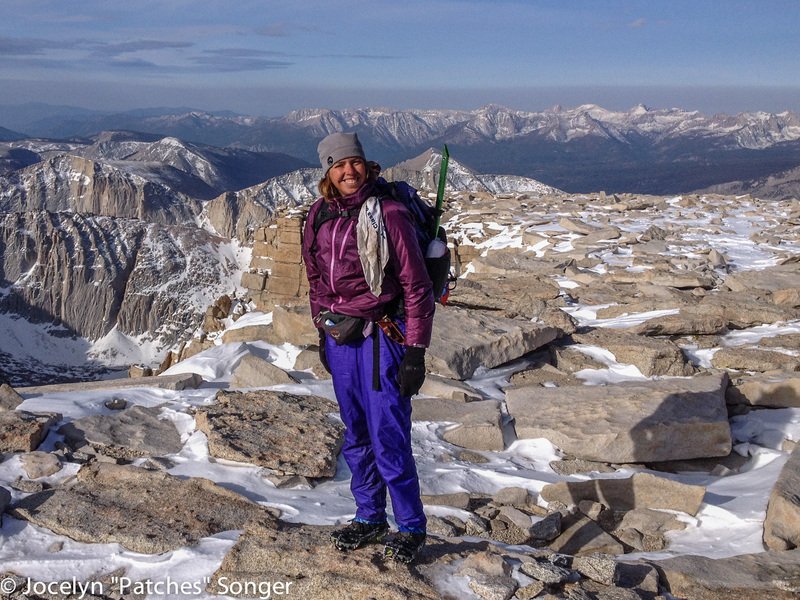 Check out my AT shoe review and my thoughts on shoes from the PCT! Questions about my PCT gear? Leave a comment below. I’m hoping to write full gear reviews for some of the things I carried in the upcoming weeks. 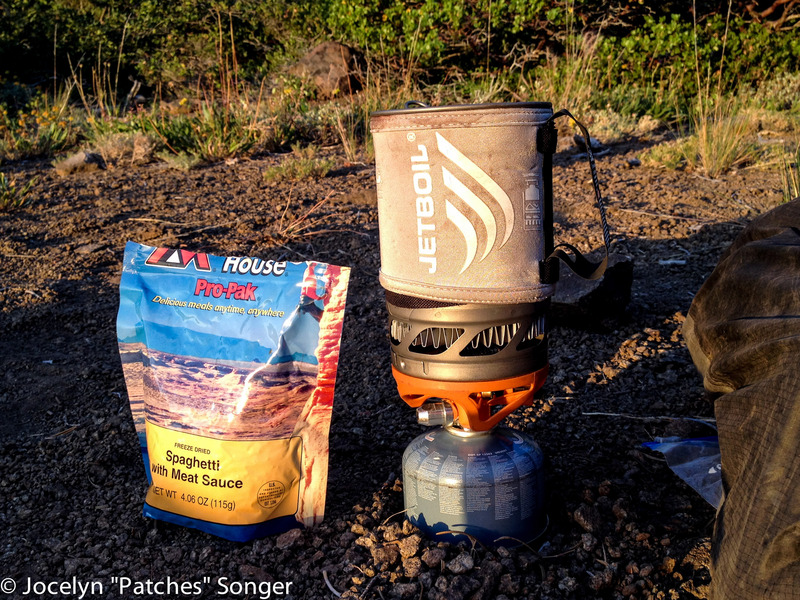 Thru-hikers: What was your favorite luxury item on the trail? 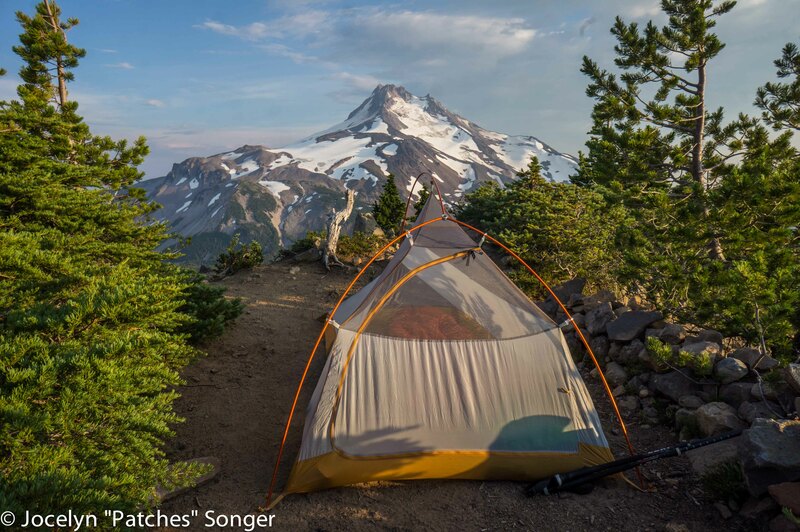 This entry was posted in Appalachian Trail, Gear Reviews, Pacific Crest Trail and tagged backpacking, cooking system, gear reviews, lightweight backpacking, Marmot, pack weight, PCT, sleeping bag, sleeping pad, tent, ultralight, zpaks. Bookmark the permalink. A 32F sleeping bag also wasn’t warm enough for me on the PCT. I switched to a Jacks R Better quilt (20-25F) that can be used as a poncho in camp and love it. I think most people ended up with bags rated between 10F and 20F. My first week on the trail (beginning of April) the temps were dropping into the low 20s overnight and I sleep cold, so the zero worked well for me… I think I would have been ok on the PCT with a 15 degree bag, but the zero gave me a lot of freedom to cowboy camp up on the amazing ridges without worrying about the cold and the wind. Awesome information! Again, thank you so much for taking the time to go through this with us. Wow! Such an incredible gear list! I hope to hike the PCT some day and this will sure come in handy. I’m doing the JMT this summer and will be able to use a lot of what you have listed here. Thanks! Thanks for sharing your gear list. Makes me want to spend, even though I can’t thru hike for a long time (naughty baby girl here at home!) I want the Montebell mesh hat so bad for our 110f hikes here in summer! Cheered! 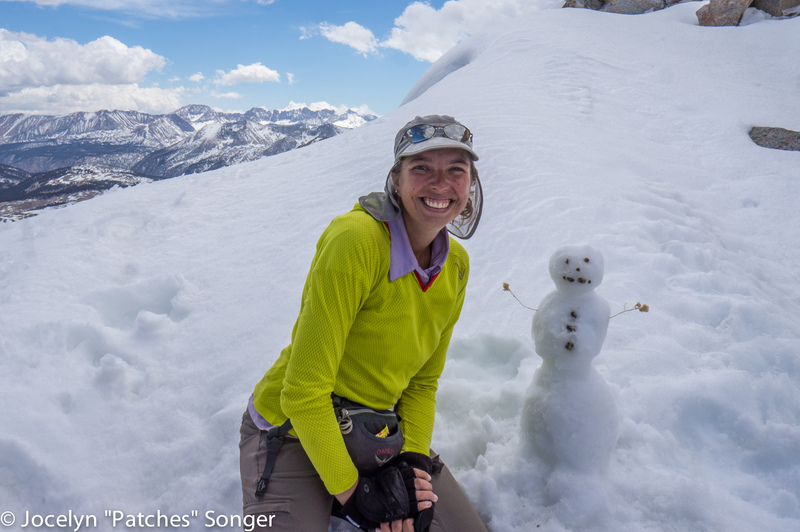 Jocelyn, Thank You for your detailed postings of gear, adventures, and an awesome spirit of adventure. My luxury item is also a camera! 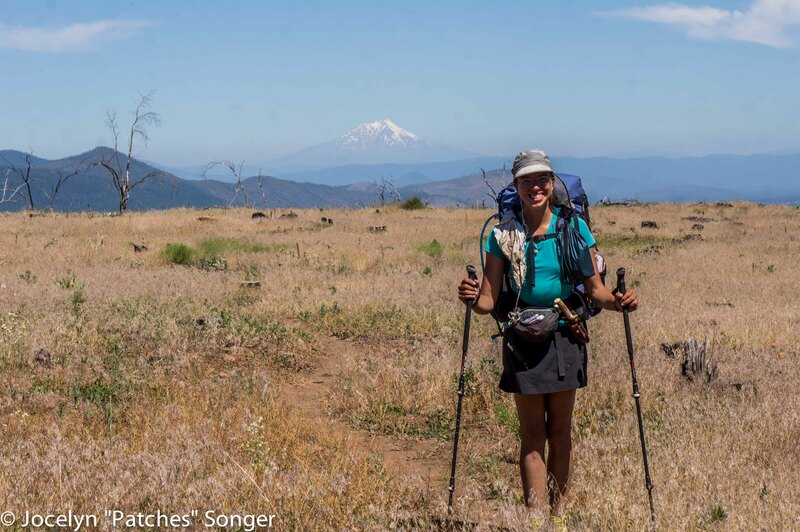 I have to admit, it makes me so happy to see someone say, “I don’t care if I’m ultralight.” I’ve been thinking I’m crazy as I prepare for a PCT thru-hike this year, because I’d rather carry a few more ounces and enjoy things more! But I’ve got a gear question… I’ve got a baseweight around 18 pounds (not including Sierras stuff), and I’ve been wondering if, with food and water, it’ll all fit in the Exos 58 without being really uncomfortable. Also: How easy was it to find places to charge the battery? I’ll be carrying a phone and camera as well, and I’ve been debating between just a charger, or a charger and a solar panel. Greetings. I was wondering where the hip belt pouch is from. I have been looking for one for awhile now. Thank you. I still haven’t found one that I love… I started with an Osprey chest pouch that I adapted and wore as a belt pouch… After 3000 or so miles it finally wore out and and I switched to a lightweight Patagonia pouch… I wore holes through that pouch after the first 100 or so miles… I’m still searching for the perfect solution! Thank you for the information. I will keep a watch here to see if you ever do find one. I am looking for a lot of information, such as carrying high Sierra equipment from start or ship it someplace and where or to buy it at a certain location. I am looking for a lot of general info on what types of food ect. Is there some web site to check for novice hikers? Thanks be looking forward to hearing from you. Patches, I am planning a 2017 AT thru. I have looked at the Fly Creek UL2 but have heard people say it is difficult to get in and out of a front entry tent. What were your thoughts on that? Also, would you still recommend that tent for an AT thru hike? I realize you would change out now for bivy for cowboy camping, of course I will not be doing that on the AT. Are there other tents you would consider? I am planning to do the PCT in a couple of years. Can hardly wait, so now, I’m already making a new gear list, and the aim is to hit app. 7-8 kilos base weight …15-18 lbs. … but, more in WA…crampons, iceaxe etc. I will be hiking South, starting around 1. july…There are many maybe’es to come by, but, the dream is on. This year we did the JMT, in 2014 the GR20, 2013 Monte Rosa Route, and before that various hikes in Europe. I’am ready for PCT for my Next hike. I take it your gear weight does not include food or water weight? Yeah, I mostly talk about base weight, which doesn’t include food or water. Hi @Patches, I’ve noticed that in one of your pictures in the snow (I assume the sierra) you’re wearing boots. 2) crampons or microspikes ? I used microspikes for the High Sierra and was happy with them. The only time I think I would have used crampons was while summiting Mt. Whitney. I love my Altras, but I would consider a slightly warmer boot with stiffer soles for the high Sierra… I try not to use microspikes with my Altras very often. I just envy you for being able to do all the hiking you do. Great article. I’ve been hiking for more than 50 years and am a gear junkie but I enjoyed your gear list comparisons and uprades. Thanks for sharing. I hear the mountains calling. Keep on hiking!